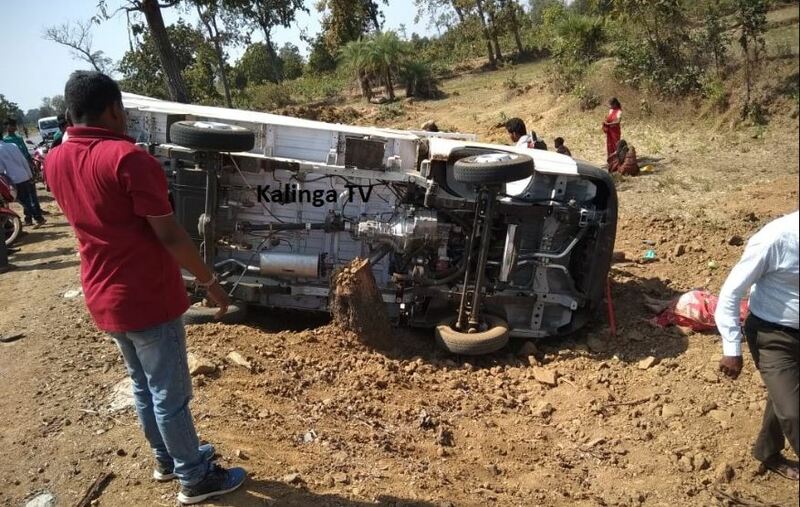 Malkangiri: A pick-up van overturned on Malkangiri-Govindpali road near Pangam on Monday afternoon. Of the people on board, three of them were killed on spot and another ten were said to be critical. 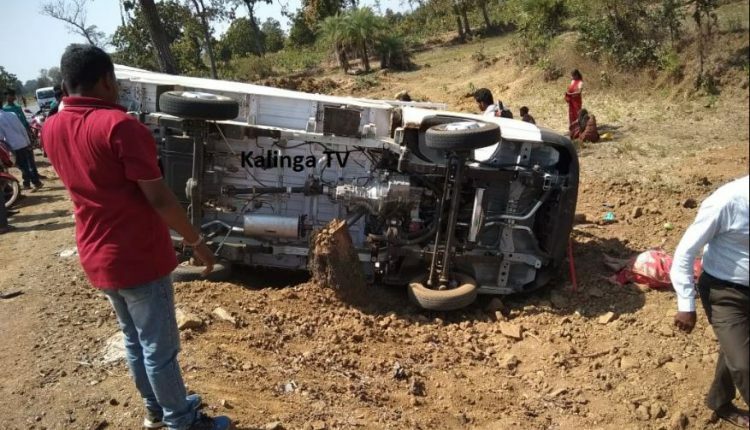 The critically injured have been admitted to the nearby Mathili hospital and their treatment is underway. On being informed, the local police have arrived on the spot and started an investigation into the pick-up van accident.